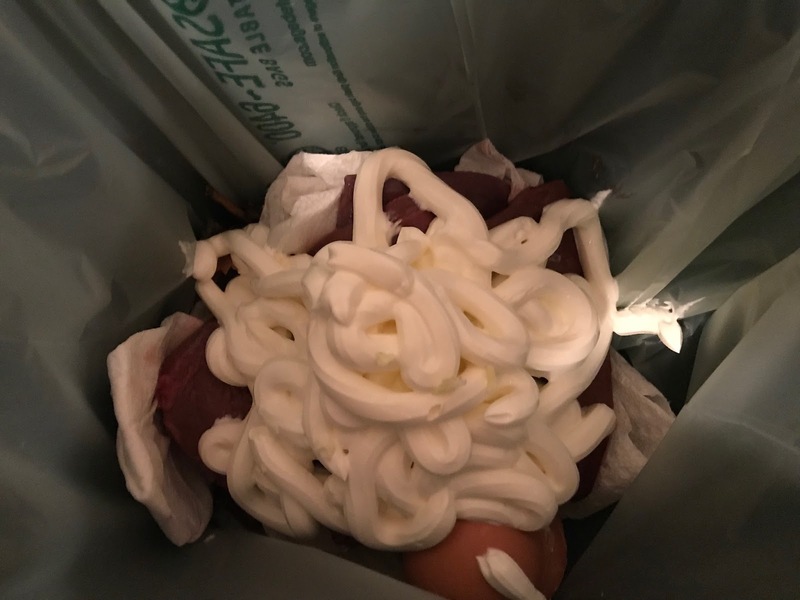 On Sunday, April 1, 2018, the City of Cambridge pulled another one of its April Fools Day pranks. 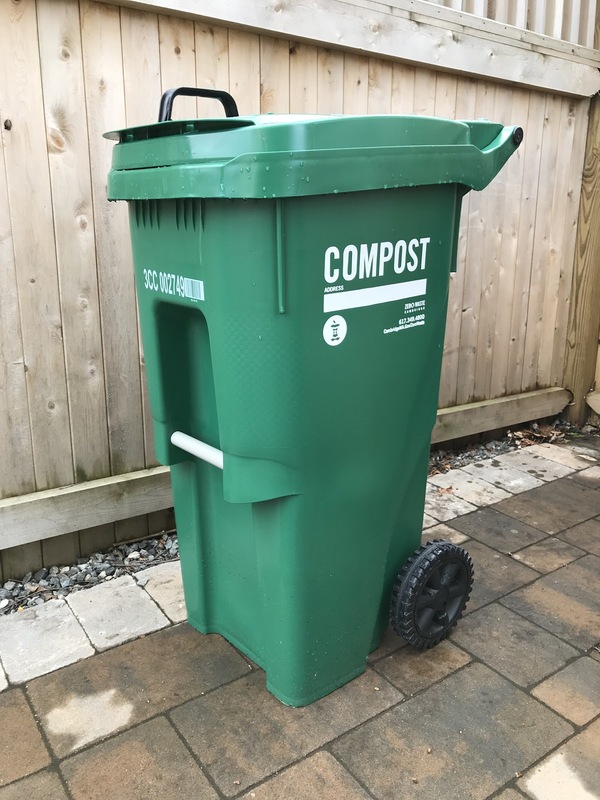 These bright green curbside compost bins were distributed to residents across the city. 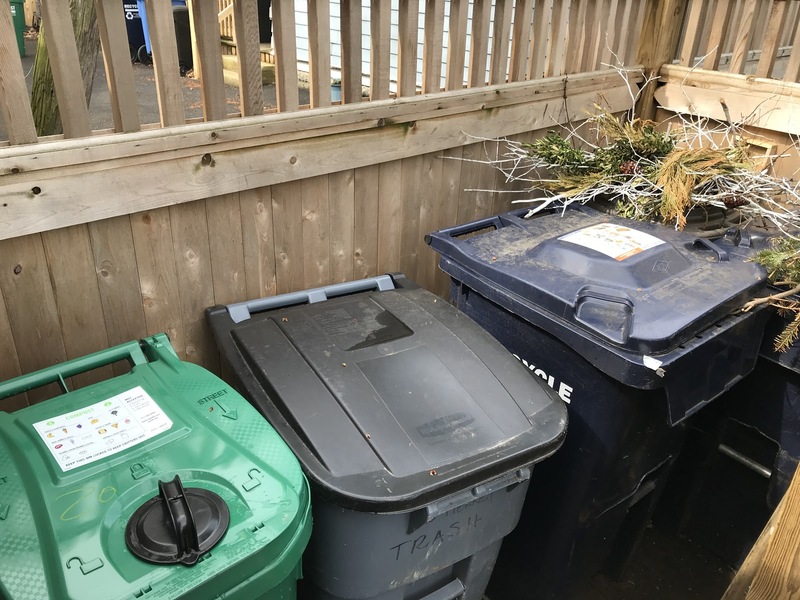 That brings the number of garbage cans at our three-decker to 4 - the new green one for compost, one for regular trash, a blue one for single-stream recycling, and one for yard waste. We loose lids before the cans wear out, so there are several other cans floating around the back side yard and basement. Plus we have several of the old smaller blue recycling bins. There are also separate garbage trucks for each type of garbage, and they all come by on garbage day. It's getting a bit ridiculous. 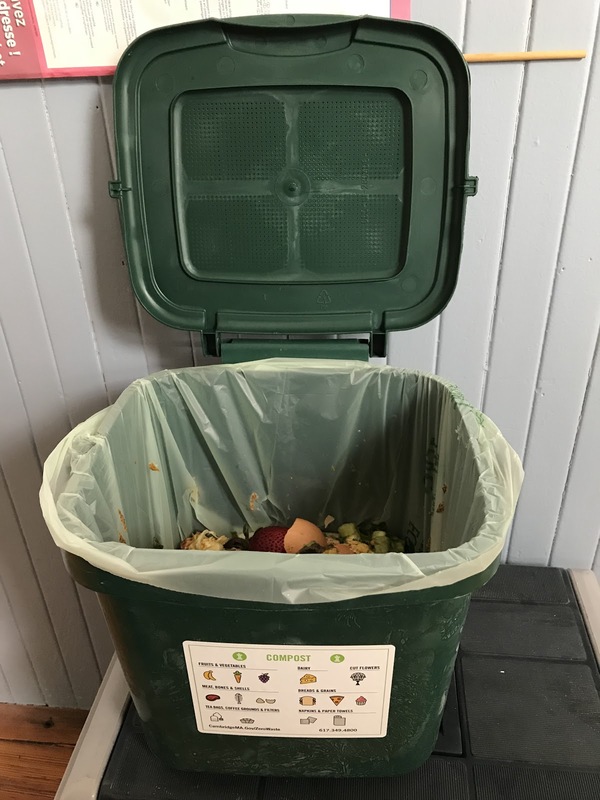 In addition to the big green bin, the city issued smaller compost buckets - our building got 3, one for each unit - to go inside the residence. 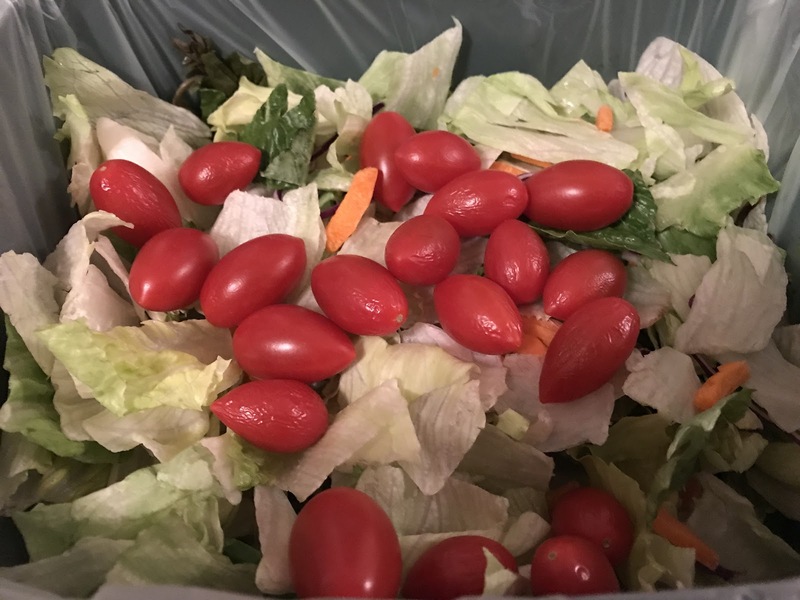 My compost bucket has been getting some interesting meals, such as this one. 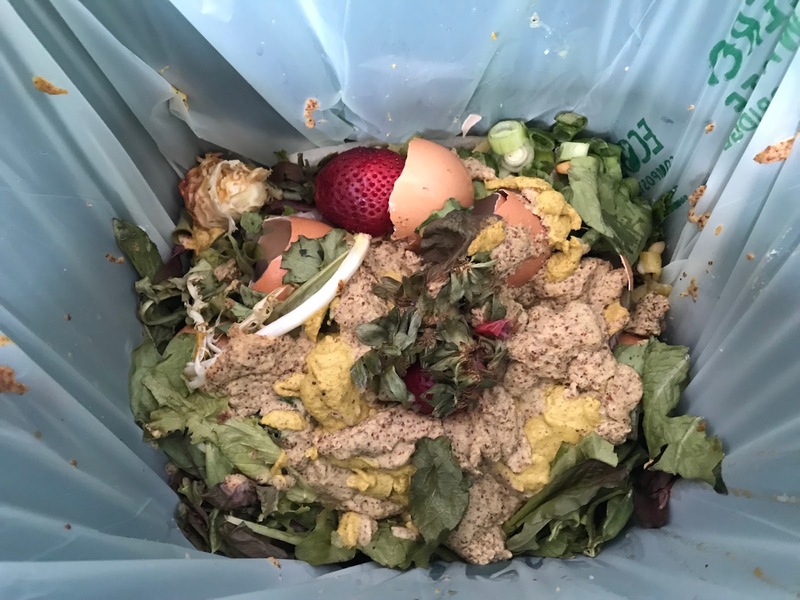 "DPW brings food scraps and other compostables to a facility in Charlestown where it is screened to remove contaminants and blended into a slurry that has a consistency similar to cooked oatmeal. The slurry then goes into an anaerobic digestion tank that uses microbes to eat the organic material, releasing methane. The methane is captured to make clean energy in the form of heat and electricity. Remaining solids are made into a nutrient-rich fertilizer for use on agricultural fields in Massachusetts."